The Capitec Bank is a South African retail bank which has been ranked as the second largest retails bank in South Africa in August 2017 mainly based on the number of its customers, which was around 120,000 customer who were opening new accounts every month. What do you mean by the Capitec App? The Capitec app is an app which has been created for the benefit of the cell phone users which provides them with a secure banking any time or any place, and it also provides them features like they can view their account balance, they can easily pay off their beneficiaries, they can also transfer money between their own accounts and also approve their sign in and other types of transactions through the website. There is no one who wants to be visiting the bank these days. It sounds very boring when you have to wait in the long queues waiting to deposit, transfer, or do any of your banking. Therefore, the Capitec Bank has come up with their app which is the Capitec app. The one stop solution for all your problems. 1 How can you install the app on your android device? 2 Why should you install the Capitec app? 3 What can you do with the Capitec App? How can you install the app on your android device? First, you will just need to install the app into your mobile. The app is available for free on the Google App Store from where you just need to download and install it. After the successful installation of the app, you will need to open an account with the bank. Next, you have got to verify your phone number in the branch. Now go the app on your mobile phone which you must have already downloaded and installed. Activate the app. 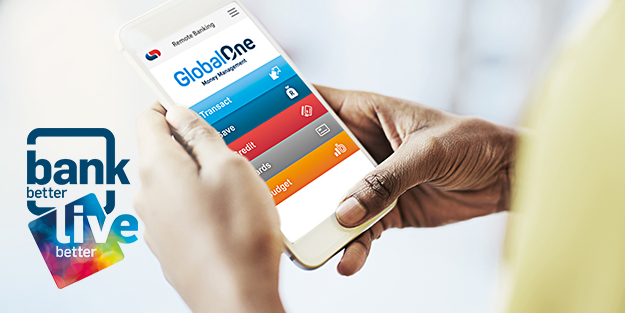 This is it, you are now ready to start banking from your mobile with just a click. Why should you install the Capitec app? One of the best features of this app is that it is available 24X7. Yes, that is right. There is no break or any kind of holidays which happen on the banking apps. The app is available free of cost. You can download and install it from the Google Play Store or the bank’s official website completely free of cost and there is not a single penny you will pay as monthly subscription charges. The app is also available free of cost to the MTN, Vodacom and Cell C subscribers whereby they need to pay nothing as data charges when they are using the app. The app is also very useful and helps you save your penny when you do the beneficiary payments through it. The Beneficiary payments can be done at nearly half the branch cost and thus it really helps save money. The app is planned and brought in to the mobiles and tablets which will help you to plan and manage your budget and it will also take full control of spending. Therefore, next time you think of spending, the app has got all your details in it stored. The app is also very convenient to use, and you can access it anywhere you are. You only need to have internet connection wherever you are. And what you will like the best is that every transaction you do will be protected by your Remote PIN, so you should be careful not to share your PIN with anyone you know or any one you do not know. Remember to keep it up to you only. What can you do with the Capitec App? There are many transactions which you can do with the app. Yes, you get to save, credit, access or stop your cards, plan your budget, get to manage your profile, and also apply for the insurance through the ap itself. How to receive your bank statement in to your email address? Once you login in to your account, you will need to click receive the bank statement on your mail, for which you will have to choose to save, and enter the secret Remote Pin to sign in. Now you need to click on your account and choose the email statement and the date range of the statement you want. Enter your email address and choose on send. You will receive the statement in your email id in sometime. How can you reverse your money from Capitec Bank app? This is how you will be able to reverse your money from the Capitec Bank app. Select transact and choose the debit orders. Now you will need to enter your secret Remote PIN to sign in and after this just choose a debit order from the history menu. Now you can choose one reason for the dispute and then finally, accept the agreement. How can you transfer money from the Capitec account to another bank account? Start by selecting the tab transfer money between your own accounts and select Save. Now you will need to enter your secret Remote PIN to sign in. Next click the tab Transfer Money and you will need to specify the “From” and “To” account and then enter the transfer amount and click Transfer and it is done. a 2-factor authentication through the security type which is available on the cell phone app or token on keyring. Your security type will be chosen at the time of your registration with the bank. The bank also wants you to be secured at every step of banking. So, it makes sure that once you have registered and activated this application, it reminds you that keep your mobile or any device that you are using for mobile banking safe and that it is kept in your possession at all times. It also requests you to keep your Remote PIN which is the personal identification number secret.